My First Time is a regular feature in which writers talk about virgin experiences in their writing and publishing careers, ranging from their first rejection to the moment of holding their first published book in their hands. 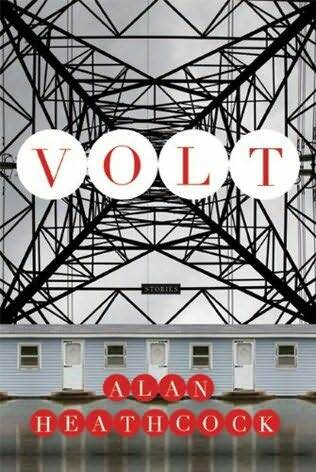 Today's guest is Alan Heathcock, author of Volt , the short-story collection published last month by Graywolf Press. It's no small secret I'm Heathcock's No. 1 Fan (though I would never tie him to a bed and break his ankles with a sledgehammer ). 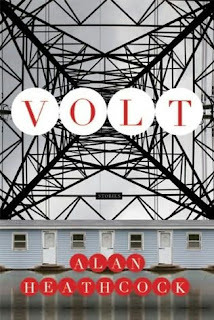 I've said it before and I'll say it again: Volt is a collection that "makes us think, makes us feel, and makes us believe in the power of short fiction once again." Heathcock is currently the Writer-in-Residence for the city of Boise, and a Literature Fellow for the state of Idaho. A Native of Chicago, he teaches fiction writing at Boise State University. 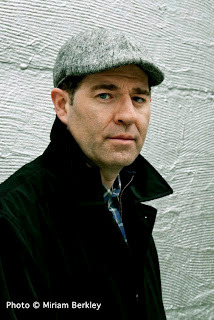 His fiction has been published in many of America’s top magazines and journals, including Zoetrope: All-Story, Kenyon Review,VQR, Five Chapters, Storyville, and The Harvard Review. I come from classic Midwestern stock. We are kind and sensible people. We do not make noise or try to stand out. We are good members of a community and will shovel your driveway before you wake and bring you a plate full of cookies just because we made a batch. This is to say that we’re not made of the stuff of writers. But I always knew the “we” was not me, and that I was different. I was not rebellious, was, in fact, studious and obedient and reverent. But on the inside I felt an undeniable longing, a call that would not leave me. I remember writing a story in my 9th grade English class. The story was awful, was about robots taking over a town, full of clichés and trite heavy-handed symbols. But writing the story was invigorating. I recall lying in my parents’ basement, staring up at the ceiling and seeing the robots in my mind, robots stomping down over a little town, crushing silos and leaving giant robot footprints in the bean fields. It wasn’t work. It was fun. But more than fun, it meant something to me. Even at fifteen years old—a hard age to motivate—I was inspired. I remember we workshopped the stories in class and someone made a snide comment about my robots and I wanted to do awful things to that person. I cared…deeply. I cared like I’d never cared for anything else. After that story-writing unit was over and we went back to the normal English class fare, I didn’t write another story for many years. But, with everything I ever read, I thought about writing stories. When I read Hemingway’s story “Indian Camp” in my senior year, I was so moved that I actually started to weep. I’d just had a friend commit suicide (which happens in Hemingway’s story, too), and, again in my parents’ basement, I looked up the window well to see the clouded sky and pondered the stuff from which men were made, from which I was made. I was roiling on the inside: so much pain, so much anger, so many unspoken questions. Where could I put this stuff? It must go somewhere, after all. Then, to graduate, I was required to take writing courses outside my major. I saw a fiction workshop and signed up. I worked harder on my story than I’d ever worked on anything. I hardly slept for a week. In our workshop conference, the professor, a kind and smart woman named Mary O’Connell, said a dangerous thing. Mary said, “You know this is really good, Al. It’s as good as some of the stuff I’ve read in my graduate workshop.” In hindsight, she was clearly just being kind. My work was terrible. But…I wanted it to be great. The fire was stoked all the hotter, yet still contained. I graduated and got a job. A regular job. A sensible job. I worked for an architect who specialized in senior living facilities. My job was to travel all around eastern Iowa, visiting every single senior home and trying to convince directors they needed my boss’s services. On one particular day, I was down in the southeastern edge of Iowa, in a town named Keokuk. It was July. 100 degrees with high humidity. I was wearing a suit and tie. On my sixth or seventh senior home visit, I got cursed out by some director who was having a bad day. I left dejected and angry, feeling stuck in a way I’d never felt stuck before, the kind of stuck you only feel when you realize you’d made terrible decisions along the way. This was my life. This was where all my hard work and determination throughout college had dropped me. I couldn’t stand going to another senior home. I pulled off my tie and unbuttoned my collar and decided I’d call it a day. I drove to a park with big shady trees. I sat on a picnic table, high up on a bluff. Far below, the mighty brown that was the Mississippi River slogged southward. In my backpack were a few random books and I took them out, decided to read a couple of stories, just to pass the time (I couldn’t go back to the office yet), to forget the day for awhile. The first story I read was Joyce Carol Oates’ “Where Are Your Going, Where Have You Been?” I barely breathed reading it. So taut, so visceral, so intense. Next I read “The Five Forty-Eight” by John Cheever. The end of that story has a woman, a jilted lover, forcing a man at gunpoint to put his face in a mud puddle. It was so powerful that I stood up, paced around the park, imagined myself making the rude director who’d cursed me out put his face in the mud. Then I read Joy Williams’ “Winter Chemistry,” which ended in sudden violence, so stark, so real, that I could barely move. I’d been struck, was overcome with a notion. I knew what I could do, what I must do. I had things inside me, things I wanted to say, needed to say. I stared down at that huge churning river, trembling a bit, watching barges forge on to somewhere else. I sat there for a long time, thinking things through. Finally, after so many years’ gestation, I allowed myself to say the words, meekly at first, but voiced nonetheless, and undeniable, words that would change my life forevermore, would leave me poor, would leave me frustrated and sleepless and bitter, would fill me up with the joys and pains of humanity and leave me, day after day after day, completely inspired, and wholly motivated. Those words gave me the greatest life, a life where each and every day I indulge my curiosities, purge my demons, express my hopes and fears, words that allow me to urge my own children to follow their heart’s passion for we have so little time to waste. Photo © Miriam Berkley. Used with permission. I love it. Heartening in it's humanness. Thank you Alan Heathcock for sharing a story with which I can relate so well. Why do we deny what is inside us for so long? Because we live to meet other people's expectations instead of learning and being who we really are. I hope many people will read this and find the courage to say what they want and follow their dreams. Thanks, David Abrams for sharing. Good recollection. I'll bet there are a ton more. I never know what to do without a Facebook 'like' button... Amazing as always! Beautiful recollection of the moments that lead to your writing of Volt. Like all writers, I have just such a moment in my life. Several moments actually. Lots of doubt in between each moment. Each time I think I'm done, I'm not writing any more, tired of the empty page, there's another moment in which the cosmos shocks me back to my senses. It is, after all, the only thing I'm cut out to do. Thanks for filling up the blank page with good words. What an inspiring and honest story! I should have expected no less from the author of the stories in "Volt." As I read each story, I was surprised and shattered all at the same time. Thanks, David, for introducing me to this marvelous author. From the Cutting Room Floor: Oopsie!